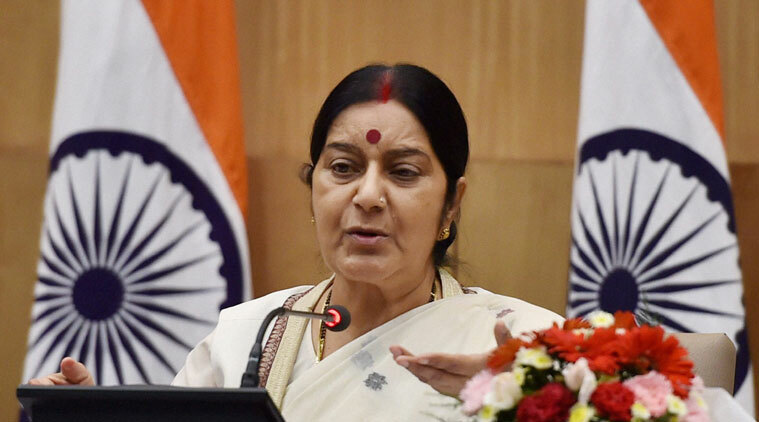 As Indian delegates attended the Kartarpur corridor groundbreaking ceremony in Narowal on Wednesday, Indian Minister for External Affairs Sushma Swaraj announced that India will not attend the South Asian Association for Regional Cooperation (Saarc) conference if it is held in Pakistan. Chief of Army Staff Gen Qamar Javed Bajwa had hinted at opening the Kartarpur border on the occasion of Baba Guru Nanak’s birth anniversary next year for Sikh pilgrims when he met cricketer-turned-politician Navjot Singh Sidhu during the swearing-in ceremony of Prime Minister Khan in August. However, while talking to journalists in Indian Hyderabad, Swaraj claimed that India had been “asking for the [opening] of the Kartarpur corridor” for the past 20 years.